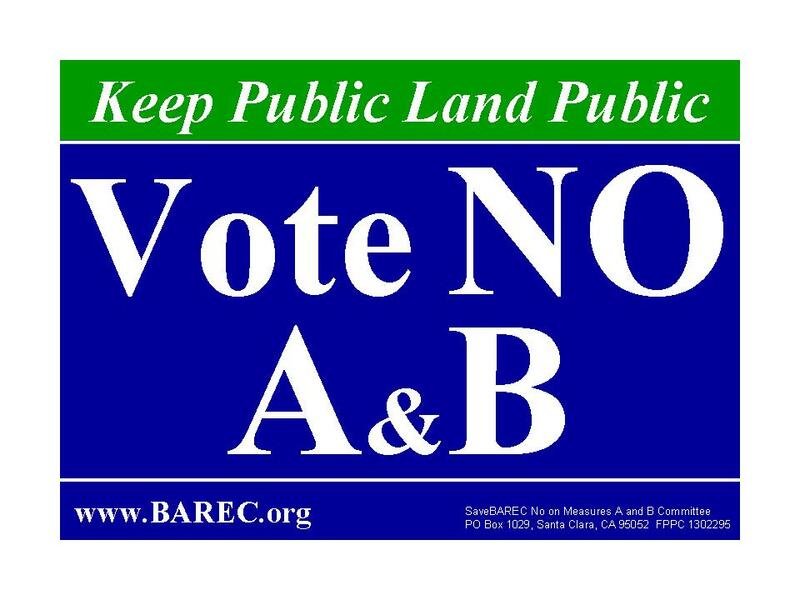 SaveBAREC - Keep Public Land Public! Basically, the lawsuit is filed against the City of Santa Clara and all interested parties (the developers and the State) for approving a faulty EIR (Environmental Impact Report). Reasons to VOTE NO, Click here. Another perspective, click here. A 10 minute video summary from the League of Women Voters forum. Click here. Here is a quick 30 second video that tells the basic facts. Click here. Our future generations say NO! 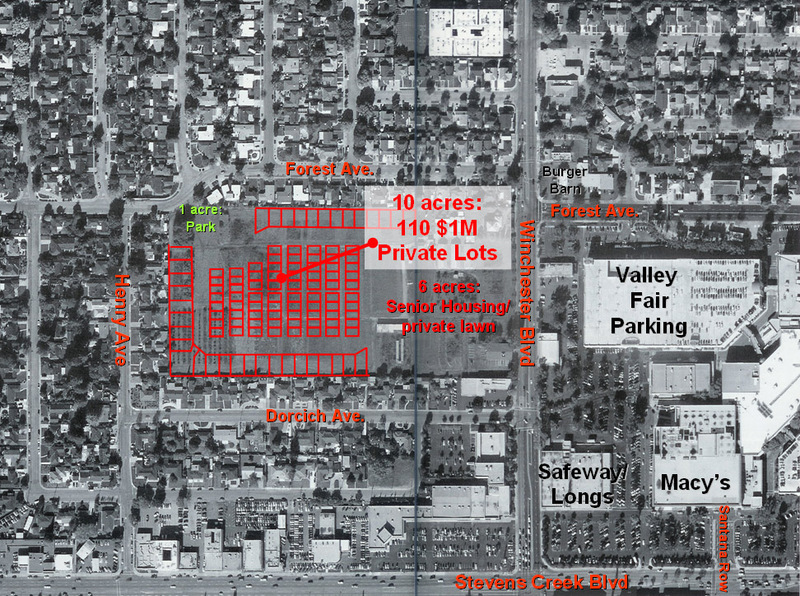 On February 5, 2008, the City of Santa Clara voters will have an opportunity to vote on two measures: One for the Rezoning of the BAREC property from (A) Agriculture and one for amending the General Plan (the General Plan Amendment). A NO vote on these two measures will insure this private housing development does not get approved. 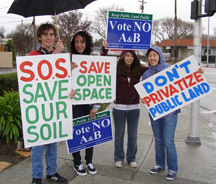 Don't let SummerHill Homes privatize 60% of the land, forever eliminating the public open space. See our presentation from the League of Women Voters forum January 16, 2008. Here is a copy of our lawn sign. Please request one, or print it out to post in your window, your business, a local business, or your car! Click here to print it. Registered to vote? Do you need to update your address? Please go to the Registrar of Voters and get information. You can sign up for an absentee ballot, print forms, and or just get the address of your local office. If you need help, you can call them at : 408-299-VOTE (408-299-8683). You need to register to vote by January 22, 2008 to vote in the February 5, 2008 election. We have created a few different leaflets for you to print and pass out. They are meant to be printed on one sheet of paper (double sided) and folded in thirds. There are four themes, so pick the one you think is the most important to you: Overview, BAREC Options, Traffic Concerns, and Answers. We have also created a text version to post in your window for people to read. Click here to view it. Here is a one-page handout that was written by a Santa Clara Senior. Click here to view and print. We are always looking for volunteers. Please contact us if you have any time: help@barec.org. Please spread the word. We need the community to inform each other on the issues and to make sure this one plan, the only plan that was considered by the State and the City of Santa Clara, gets sent back to planning and public discussion takes place. So many things can be done with 17 acres. This is PUBLIC LAND! Keep it public. February 12, 2008 - SJ Mercury News publishes Spaces & Places: Lawsuit delays BAREC plan. Click here. 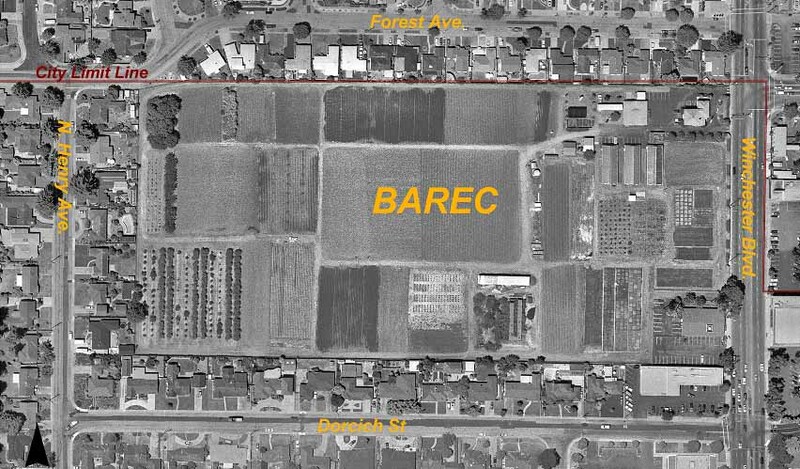 February 3, 2008 - SJ Mercury News publishes Vote to Steer Fate of BAREC Site. Click here. 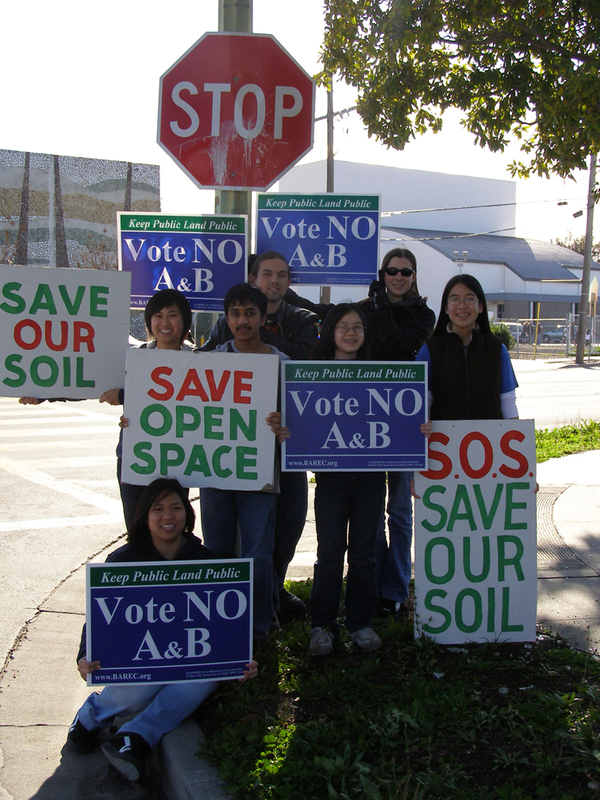 February 1, 2008 - SJ Mercury News publishes Don't build homes on BAREC. Click here. February 1, 2008 - SJ Mercury News publishes a misleading view for yes. Click here. January 31, 2008 - Santa Clara Weekly dialog with SaveBAREC. Click here to read it. January 31, 2008 - Santa Clara Weekly article on clean-up. Click here to read it. 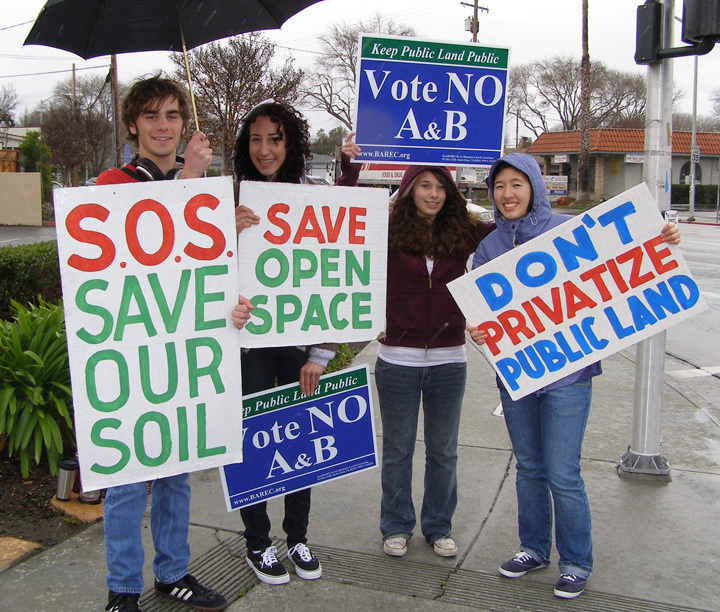 January 22, 2008 - SJ Mercury News publishes Project Goes to Voters article. Click here. 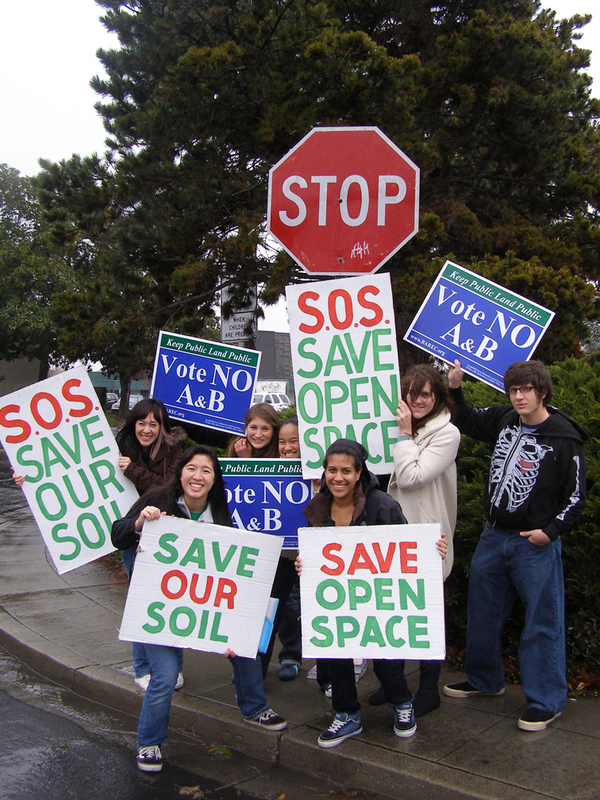 January 21, 2008 - SJ Mercury News publishes Opinion (against our campaign) . Click here. January 16, 2008 - League of Women Voters forum. See our presentation. Here is a video summary of it. December 12, 2007 - Santa Clara Weekly article interviewing SaveBAREC PAC spokesperson. Click here to read it. December 5, 2007 - Santa Clara Weekly interviews the State regarding BAREC. Click here to read it. January 22, 2008 - DEVELOPER TRYING TO "BUY" ELECTION. Click here to read it. January 15, 2008 - LEAGUE OF WOMEN VOTERS TO HOLD FORUM ON BAREC ISSUE. Click here to read it. January 2, 2008 - BAREC SUPPORTERS CONTINUE TO GROW . Click here to read it. 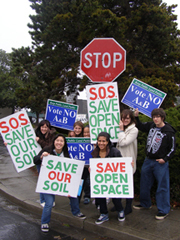 November 27, 2007 - SaveBAREC REFERENDA CAMPAIGN HAS STARTED. Click here to read it. The History of the Sale of BAREC. Click Here. For comments or questions, please email us at: info@barec.org.